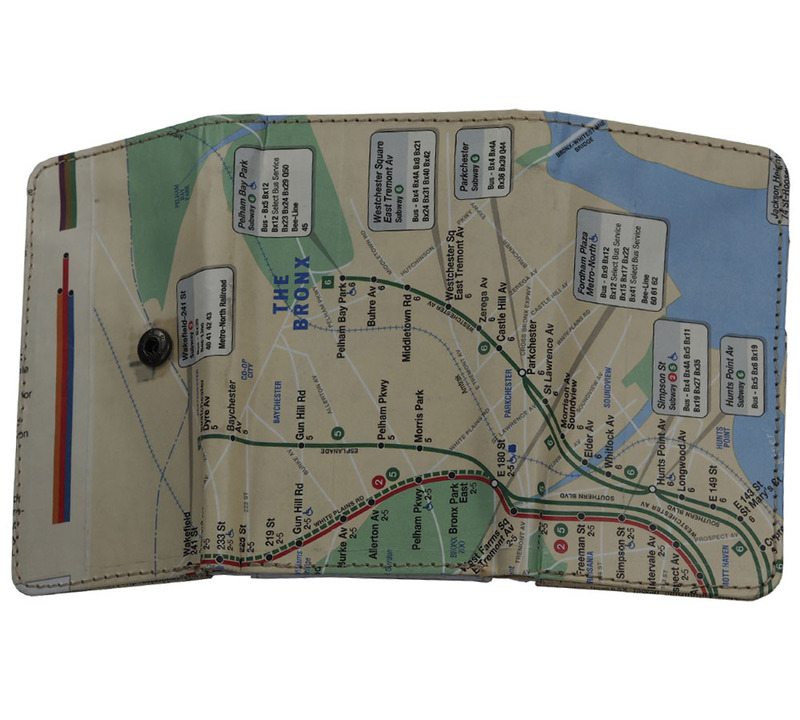 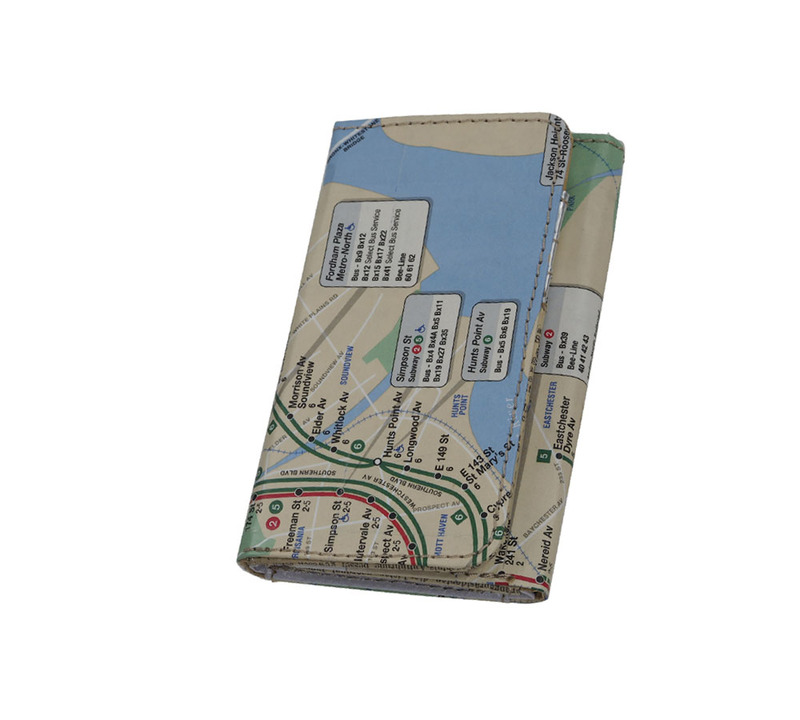 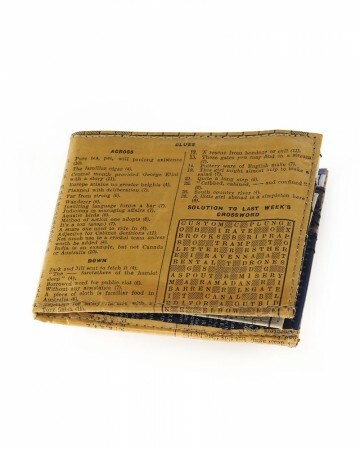 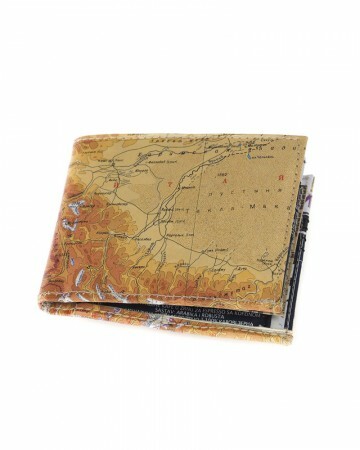 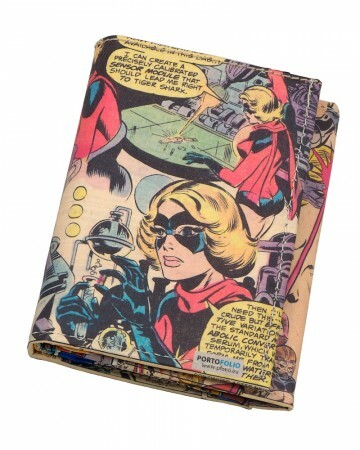 BRONKS New York city map 2009 wallet made with 95% recycled materials. 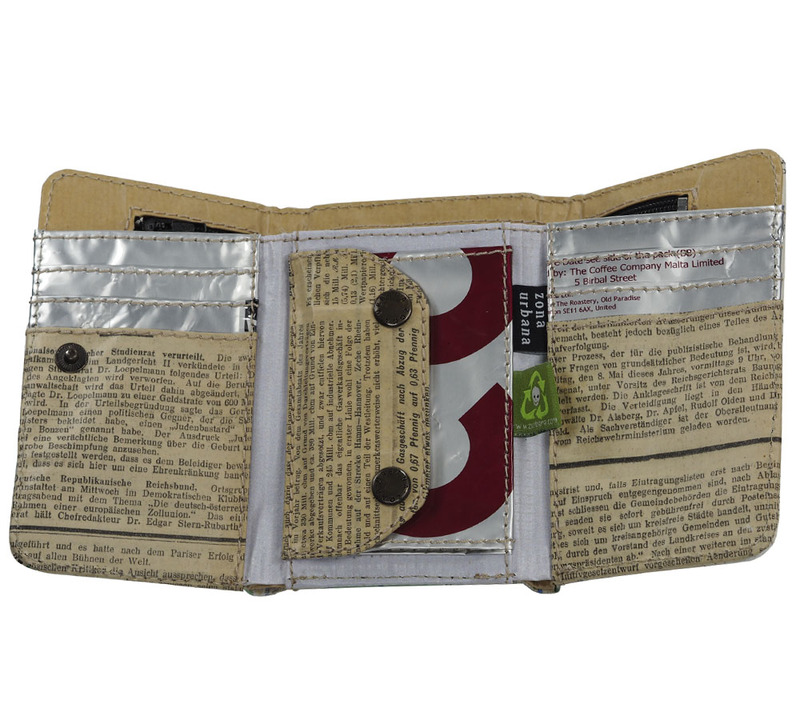 Inner: coffee packaging, 1930 German newspaper, billboard vinyl, Tetra pack milk/juice packaging. 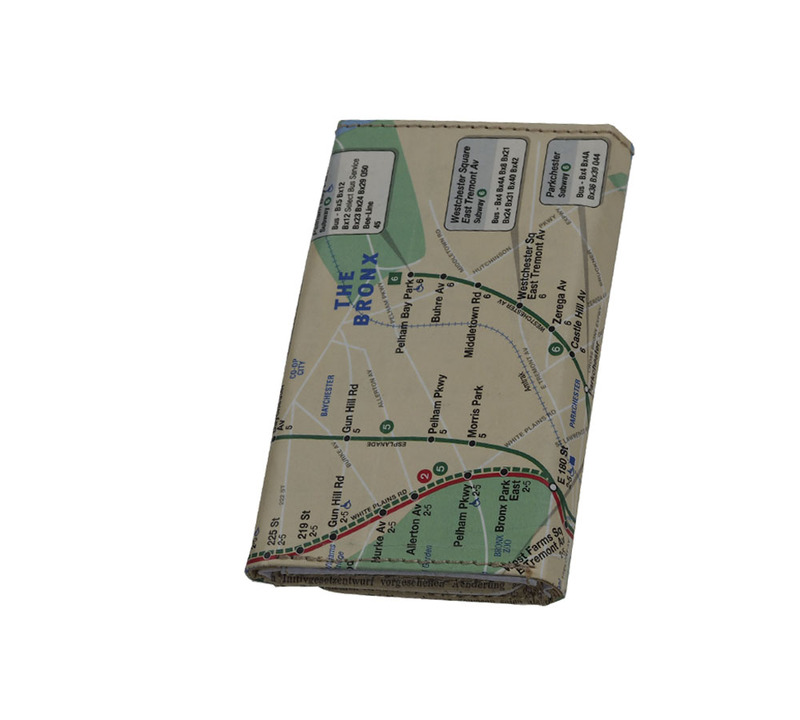 Tags: coffee package, Map, tetrapack.